• 7 days Exam Preparation Weeks & RYA Yachtmaster Exam. 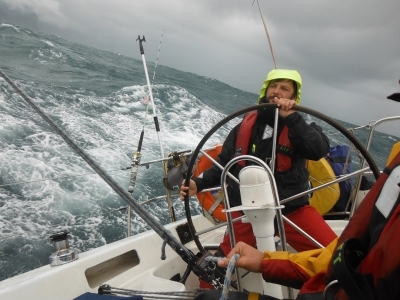 The RYA Yachtmaster Coastal Exam thoroughly tests the Skipper’s ability and can therefore appear daunting to potential candidates, but well-prepared Skippers with the Proper Experience and Training need not worry. With practice and preparation, you should be able to relax sufficiently to let your skills shine through any Exam nerves. The content of the RYA Day Skipper Theory & Practical Weeks are Vital as these are the foundation of your training and are needed to ensure that your Boat handling (including picking up a mooring and man over board) and Theoretical knowledge (including Chartwork, COLREGS and Meteorology) are up to standard in order to continue to an RYA Yachtmaster Coastal Standard.